At Addition Elle, you are considered a very important person. To thank you for your loyalty, we've created a VIP rewards program to spoil you with the perks you deserve. cannot be combined with other certificates, vouchers, offers or promotions. Signing up for the VIP program is easy! Just fill out and submit a sign-up form online or available in-store. Ensure to provide accurate and complete information. VIP membership is FREE and there is no minimum purchase required. How is my yearly spend calculated? Between November 1st and October 31st, every Addition Elle merchandise purchase, whether in-store or online, is applied towards your yearly spend. If an item is returned, the corresponding amount will be deducted from your balance. Does my spend carry over into a new program year? No. All spend is cumulative during a program year and does not carry over into subsequent years, although those members who attain the VIP Platinum level during a program year will start the next year at the Platinum level. The VIP program year starts November 1st and ends October 31st the following year. How will I know what my spend level is? You can check online or contact Customer Care (1-855-374-6947) to find out your spend balance. What spend levels do I need to reach to get a reward? Spend $250 and receive a $15 reward. Spend $500 and receive an additional $20 reward. Spend $750 or more and receive an additional $25 reward certificate and gain VIP Platinum status! Once I have earned a reward, when can I expect to receive it? New reward certificates are issued four times throughout the program year. How can I make sure I receive all of the benefits offered by this program? You MUST provide accurate information on your sign-up forms, check off "yes" on both opt-ins. This will enable you to receive all of the benefits you are entitled to! Reward certificates must be redeemed in-store within 45 days of issuance on regular-priced merchandise (they may not be applied towards gift cards). The reward certificate can only be used for one transaction, therefore you should use the full reward amount, or else you forfeit the remainder. Only one reward certificate may be used per transaction. I am eligible for a reward, but I have not received anything. What should I do? It is very important that you have provided an accurate email address and that you have agreed to receive emails from us, otherwise there's no way for you to get what you deserve! To confirm your email address and to opt-in for email, you can visit any store, call Customer Care (1-855-374-6947) or go online. Where can I find out what all of the VIP program benefits are? You can refer to the VIP section of our website for all program details. What is the "birthday surprise" for all members? Well, it wouldn't be a surprise if we told you! I have just reached the 750 spend threshold and am entitled to become a Platinum VIP. When can I take advantage of my new benefits? As soon as you reach the VIP Platinum status, you are eligible for the Platinum benefits. As long as your file has an accurate e-mail address and you are opted in to receive our emails, you will receive special invitations and offers. What is the "SPECIAL birthday gift" for VIP Platinum members? Platinum members will receive a premium birthday surprise. We can't let you know what the gift is because we want it to be a surprise! What if I reach the VIP Platinum status close to the end of the program year? Once you reach the Platinum status, you are eligible for the Platinum benefits. The status will carry over into the new program year. The VIP program year starts November 1st and ends October 31st the following year. Why do you no longer give out membership cards? In an effort to “go green” we have decided to stop distributing membership cards. What happens if I lose my VIP member card? There’s nothing to worry about; your profile and status can still be accessed with the email address or phone number we have on file. What if I don't want to be part of the VIP program anymore? Well, if you want to miss out on some fantastic benefits, you can opt out at any store, or with Customer Care (1-855-374-6947). But don't forget that you're welcome back at any time. 1. The following terms and conditions (collectively, the "Terms") describe and govern the Addition Elle VIP Program (the "Program"). These Terms replace and take precedence over any previous terms and conditions associated with previous Addition Elle reward programs. These Terms and the Program shall be effective as of November 1st, 2018. 2. The Program is a customer rewards program offered by Reitmans (Canada) Ltd. ("Reitmans") only through its Addition Elle division ("Addition Elle") to Addition Elle customers purchasing merchandise from Addition Elle stores (the "Stores" or each individually a "Store") and/or the vip.additionelle.com (the "Website"). Participation in the Program will allow customers to receive rewards based on the pre-tax, pre-shipping and post discount amount of their purchases. Once certain purchase thresholds are met by a customer s/he will receive promotional rewards certificates offering dollar value savings which may be applied to future purchases of Addition Elle merchandise. 3. Membership is free and no initial purchase is required in order to become a Member. 4. Customers wishing to become Members in the Program must fill out and submit (accurately, completely and legibly) a Program application form available at any Store location or online through the Website at vip.additionelle.com Membership in the Program is open to all individuals who have reached the age of majority in the country, state, province or territory in which they reside or who have obtained the consent of their parent or legal guardian. 5. A customer whose application has been received, processed and approved by Addition Elle (the "Member") will then be issued a unique Addition Elle VIP Program Membership Account Number (the "Account"). The Account will be registered in the name of the individual Member. The customer will be able to access his/her account through his/her email address or telephone number as provided in the application. It is only that individual Member who may benefit from the use of the VIP Account registered in his/her name. 6. The VIP Account remains the property of Addition Elle and may be unilaterally revoked at any time by Addition Elle in its sole discretion. Addition Elle reserves the right to revoke a VIP Account in the event of breach of these Terms by a Member, misuse or abuse of the Program by a Member, fraud, and/or any other action deemed by Addition Elle to be contrary to the Program or the interests of its Members. 7. Members must provide accurate information. Addition Elle shall not be liable for misdirected email or mail communications, including any notices under these Terms or any consequences thereof where a Member's information is inaccurate or no longer valid. Addition Elle may contact a Member if it believes that some of its records concerning that Member are inaccurate. Addition Elle reserves the right to cancel any Account for which incomplete or inaccurate information has been provided, and all Reward redemptions on that Account may be blocked and any Spend levels may be forfeited. Addition Elle reserves the right to refuse issuance of an Account to any person who does. 8. Membership in the Program entitles a Member to receive rewards and perks based on yearly spend made on in-store or online purchases of Addition Elle merchandise (after rebates and returns (see paragraph 11), before taxes, shipping and handling, and made during the 12-month period between November 1st to October 31st of any given calendar year (the "Program Year"). SPEND IS CUMULATIVE, BUT MAY NOT BE CARRIED OVER TO THE NEXT PROGRAM YEAR. SPEND BALANCES WILL BE RESET TO ZERO ON NOVEMBER 1st OF EVERY YEAR. MEMBERS MUST IDENTIFY THEMSELVES WITH THEIR EMAIL ADDRESS OR TELEPHONE NUMBER IN ORDER FOR THEIR SPEND TO BE CONSIDERED AND BENEFIT FROM THE PROGRAM. 10. Spend levels have no cash value and are not exchangeable for cash. Spend levels may not be assigned, exchanged, transferred, purchased, sold or given away and shall become void in any such cases. 11. Returns and/or exchanges will be honoured in accordance with Addition Elle's Returns and Price Adjustment Policy as indicated on the Website. On a return and/or exchange, spend levels will be reduced automatically from the Member's account that was used for the original purchase. 12. Reward certificates must be redeemed within 45 days of their date of issuance on a single instore purchase of Addition Elle regular-priced merchandise.  Reward certificates must be presented (either printed or displayed on a device) at time of purchase. No mechanical or other reproductions will be accepted. Reward certificates may not be applied to the purchase of gift cards or to previously purchased merchandise. Addition Elle is not responsible for lost or stolen reward certificates. Reward certificates may not be redeemed for cash. Additional restrictions may apply. Reward certificates shall be issued to qualifying Members a minimum of four (4) times per year by email. REWARD CERTIFICATES MAY NOT BE REDEEMED ON ONLINE PURCHASES. ONLY ONE PROMOTIONAL REWARD CERTIFICATE MAY BE APPLIED TOWARDS EACH PURCHASE TRANSACTION AND CANNOT BE COMBINED WITH OTHER REWARD CERTIFICATES, VOUCHERS, OFFERS OR PROMOTIONS. 13. Any rewards and benefits provided in connection with the Program may be subject to tax liability such as GST, PST or HST. Any tax liability, including, without limitation, disclosure connected with the receipt or use of any rewards and benefits provided in connection with the Program is the sole responsibility of the Member. Reitmans shall not be responsible or liable in any manner for any tax consequences which may arise from a Member's participation in the Program. d. Free delivery of unavailable items to the address of your choice when the item is valued at $49.99 and more (pre-tax), and provided that the item is currently available. Applies to unavailable items in-store only. 16. Addition Elle reserves the right, from time to time, to modify these Terms, or otherwise modify or terminate the Program (including but not limited to any reward, reward certificates, and/or other benefit offered in connection with the Program, spend thresholds, conditions of rewards). 17. In the event of any material modification to these Terms or the Program, written notice shall be provided to Addition Elle customers and Members at least thirty (30) days before such modifications come into force and will be posted in-store at all Store locations and online on the Website, and/or, at Addition Elle's sole discretion, may be sent directly to Addition Elle customers and Members by e-mail, mail or otherwise. Such notice shall provide details of the nature of the modifications being put into effect. In the event of the termination of these Terms and/or the Program, written notice shall be provided to Addition Elle customers and Members at least thirty (30) days before such termination. 18. Members may choose to cancel their membership in the Program at any time by providing written notice to Addition Elle at the address provided below. In the event that a Member cancels their Program membership, all Spend accrued to that Account shall be forfeited. 19. MEMBERS ASSUME ALL LIABILITY FOR ANY LOSSES, EXPENSES, DAMAGES, CLAIMS, COSTS, ACTIONS, CAUSES OF ACTION AND INJURIES CAUSED OR CLAIMED TO BE CAUSED BY PARTICIPATION IN THE PROGRAM, OR THE USE OR MISUSE OF THE VIP ACCOUNT, REWARDS CERTIFICATES OR ANY PRIZES OR BENEFITS GRANTED PURSUANT TO THE PROGRAM (INCLUDING WITHOUT LIMITATION, IN CONNECTION WITH TRAVEL, IF APPLICABLE). TO THE EXTENT PERMITTED BY APPLICABLE LAW, MEMBERS RELEASE AND FOREVER DISCHARGE REITMANS (CANADA) LIMITED AND ITS VARIOUS DIVISIONS, INCLUDING, WITHOUT LIMITATION, ITS ADDITION ELLE DIVISION, PARENT COMPANIES, AFFILIATES, SUBSIDIARIES, AGENTS, ADVISORS, EMPLOYEES, OFFICERS, DIRECTORS, SHAREHOLDERS AND REPRESENTATIVES, FROM ANY AND ALL DAMAGES, RIGHTS, CLAIMS, COSTS AND ACTIONS OF ANY KIND WHATSOEVER ARISING IN CONNECTION WITH ANY OF THE FOREGOING AND THEIR PARTICIPATION IN THE PROGRAM, INCLUDING, WITHOUT LIMITATION, ANY CLAIMS BASED ON VIOLATION OF A MEMBER'S PUBLICITY RIGHTS, DEFAMATION, OR INVASION OF PRIVACY. 20. TO THE MAXIMUM EXTENT PERMITTED BY LAW, AND WITHOUT LIMITING THE GENERALITY OF THE FOREGOING, ALL ASPECTS OF THE PROGRAM ARE PROVIDED BY REITMANS "AS IS" WITHOUT ANY CONDITION, REPRESENTATION OR WARRANTY OF ANY KIND, EITHER EXPRESS OR IMPLIED, INCLUDING BUT NOT LIMITED TO, THE IMPLIED WARRANTIES OF MERCHANTABILITY, FITNESS FOR A PARTICULAR PURPOSE OR NON-INFRINGEMENT AND IN NO EVENT SHALL REITMANS BE LIABLE FOR ANY DAMAGES OR LOSSES OF ANY KIND, WHETHER DIRECT, INDIRECT, INCIDENTAL, SPECIAL, EXEMPLARY, PUNITIVE OR CONSEQUENTIAL, HOWSOEVER CAUSED, ARISING OUT OF OR IN CONNECTION WITH THE PROGRAM. CERTAIN FEDERAL, STATE OR PROVINCIAL LAWS MAY NOT ALLOW LIMITATIONS ON IMPLIED WARRANTIES OR THE EXCLUSION OR LIMITATION OF CERTAIN DAMAGES. IF THESE LAWS APPLY TO A MEMBER, SOME OR ALL OF THE ABOVE DISCLAIMERS, EXCLUSIONS, OR LIMITATIONS MAY NOT APPLY, AND SAID MEMBER MIGHT HAVE ADDITIONAL RIGHTS. FOR THE PURPOSES OF THIS SECTION, "REITMANS" SHALL INCLUDE REITMANS' RESPECTIVE AFFILIATES, SUBSIDIARIES, AGENTS, MANDATARIES, ADVISORS, EMPLOYEES, OFFICERS, DIRECTORS, SHAREHOLDERS AND REPRESENTATIVES. 22. Members must ensure that their contact information is accurate in order to ensure that Program information is sent to the proper address. It is each Member's sole responsibility to notify Addition Elle in writing at the address indicated below if he or she changes his or her address or other contact information. Addition Elle shall not be liable for misdirected email or mail communications, including any notices under these Terms or any consequences there of where a Member's information is inaccurate or no longer valid. 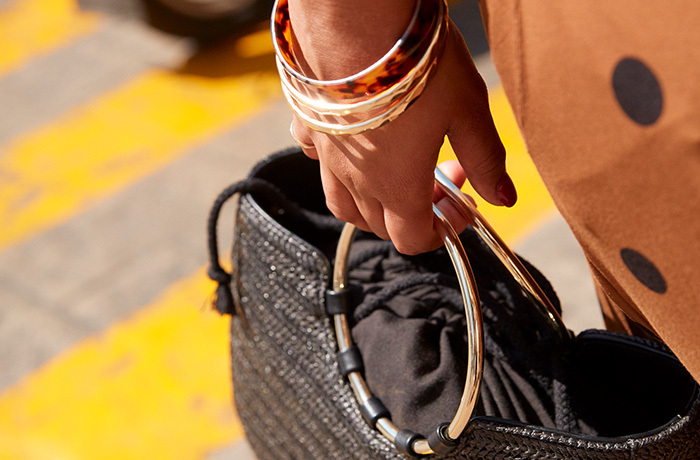 In-store: At any Addition Elle store location. In writing to: Reitmans (Canada) Limited, 250 Sauvé Street West, Montréal, Québec H3L 1Z2; Attention: Addition Elle Customer Service. 24. Please speak to our in-store representatives or contact us by phone at 1-866-388-4783 or by email at customerservice@addition-elle.com to ask us or provide us with any of your questions or comments. 26. For greater certainty, use of a VIP Account at any time after these Terms are amended shall be deemed to constitute agreement to and acceptance of such revised Terms. Notwithstanding any other section of these Terms, publication of the Terms on the Website shall be deemed notice of such terms and conditions, where notice is required or permitted to be given hereunder. The current Program Terms are set out on the Website. A Member may also ask a sales associate at any Store location for a copy. 27. Save for Program Members who reside in the Province of Québec, these Terms shall be governed by the laws of the Province of Ontario and the laws of Canada applicable therein. Save for Program Members who reside in the Province of Québec, all Members attorn to the jurisdiction of the Province of Ontario. For Program Members who reside in the Province of Québec, these Terms shall be governed by the laws of the Province of Québec and the laws of Canada applicable therein. For Program Members who reside in the Province of Québec, all Members attorn to the jurisdiction of the Province of Québec. 28. These Terms constitute the entire agreement between each Member and Addition Elle relating to the Program. 29. Any waiver by Addition Elle of the strict observance, performance or compliance by a Member with any of these Terms, either expressly granted or by course of conduct, shall be effective only in the specific instance and shall not be deemed to be a waiver of any rights or remedies of Addition Elle as a result of any other failure to observe, perform or comply with these Terms. No delay or omission by Addition Elle in exercising any right or remedy hereunder shall operate as waiver thereof or of any other right or remedy. 30. The provisions of these Terms are severable and if any provision is determined to be invalid or unenforceable, that will not affect the validity or enforceability of the remaining provisions of these Terms. 31. Employees of Reitmans and its Addition Elle division are ineligible for Program membership.